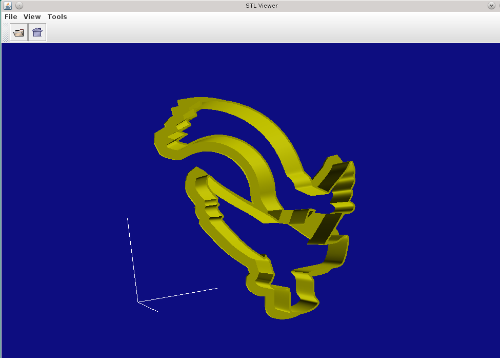 i've always wanted a STL (https://en.wikipedia.org/wiki/STL_(file_format) viewer for java. Excellent stuff, thanks for building this and letting everyone know. It looks nice and straight forward. I wasn't aware of the stl format until I read your post but I see it's firmly part of the 3d printing world. I guess the next step might be to write a writer for it so people can build 3d models then export and email it off to their local printer. i'm thinking that STL format could possibly be included as a 'loader' in the java3d 'continuation' stack, the STL import code i use is not actually mine but attributed to cyanobacterium https://github.com/cyanobacterium/STL-Parser-for-Java who released it under MIT license. i simply included and release all source and retained the original license for its parts in the same spirit. That’s exactly what I had in mind, but traversing licenses is more the senior members of Jogamp specialty than mine, so when I get some time I’ll look into it and see what building an exporter might take. To unsubscribe from java3d, click here. The header of the binary STL file doesn't contain any useful standard information, you can safely skip it. STL4J uses a fast but unreliable method to determine whether a file is an ASCII file or a binary file. Moreover,it supports neither the attributes nor the normals. 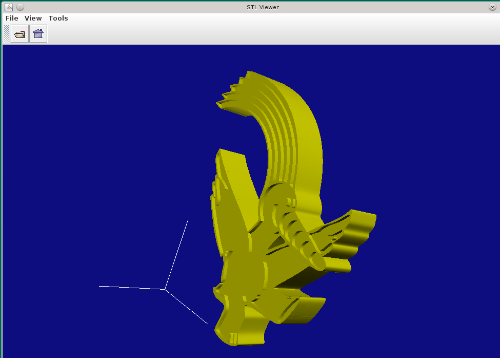 Have you ever tested this STL file reader for Java3D? Maybe reinventing the wheel isn't necessary. I used to use a lot of the j3d gear particular as examples and start points. I’ve never notice the stl format reader, but then again I’ve never notice the stl format particularly, the obj is pretty good as a common base point. In checking through my projects I see none of them are dependent on j3d-org-java3d-all.jar anymore, there was a time when I always included it with core. To be honest I’ve got a lot more on my plate trying to make the java3d android version public, and generally getting the shader pipeline working better, so the stl library inclusion is way down the list. I totally understand your position and anyway, some contributors can port our loaders from JogAmp's Ardor3D Continuation to Java3D if necessary. The WaveFront OBJ format is more complete and more capable in my humble opinion.